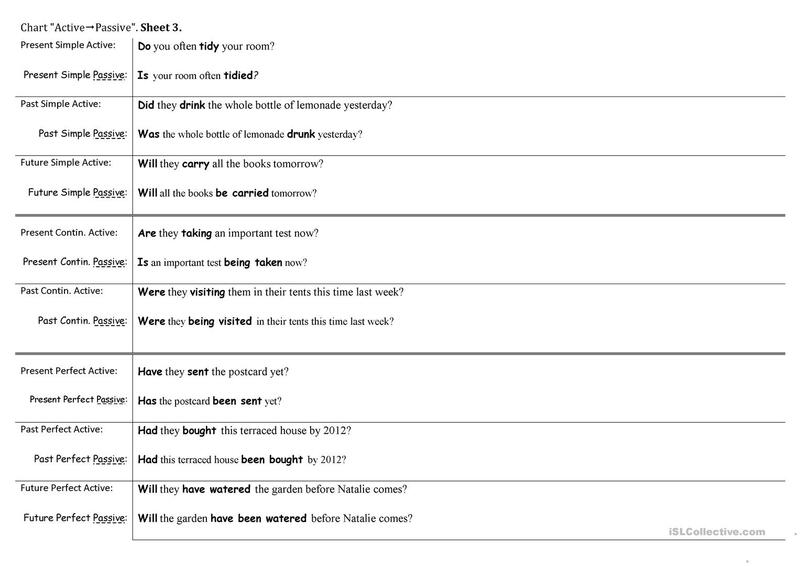 This is a worksheet for teacher's checking and marking the formation of Passive structures from Active ones (questions). Can be used both as the teacher's hint as well as self-check for students! This downloadable teaching material is a great resource for high school students and adults at Intermediate (B1) level. 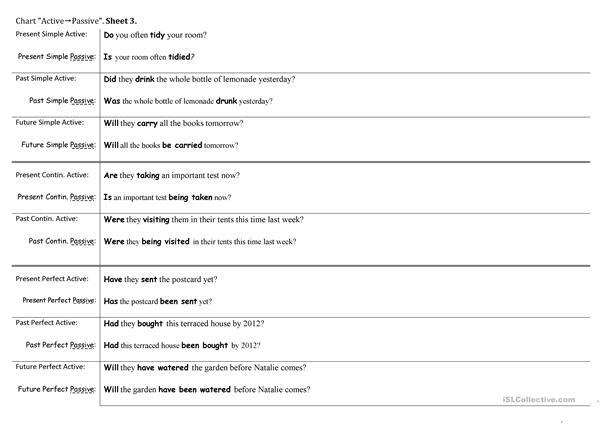 It is aimed at practising Passive voice or active voice in English, and can be used for improving your pupils' Writing skills.